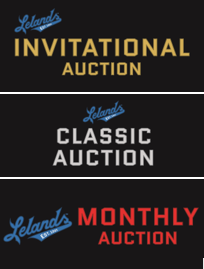 Established in 1985, Lelands is the first sports auction house and the premier appraisers and authenticators in the entire sports collectible hobby. Founder Joshua Leland Evans is a pioneer in the field and acknowledged by his peers as the most knowledgeable figure in sports memorabilia. Lelands has handled many of the largest landmark auctions, including The Mickey Mantle Auction of the Greer Johnson Collection ($1.3M), The Harry M. Stevens Auction ($1.8M), and the famed Boston Garden Auction ($2M total sales). 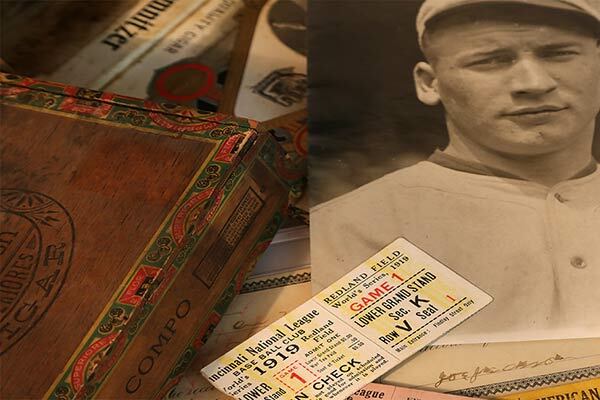 Now in it’s fourth decade, Lelands has been involved in the sales of hundreds of millions of dollars of the most important sports memorabilia and cards in the world. 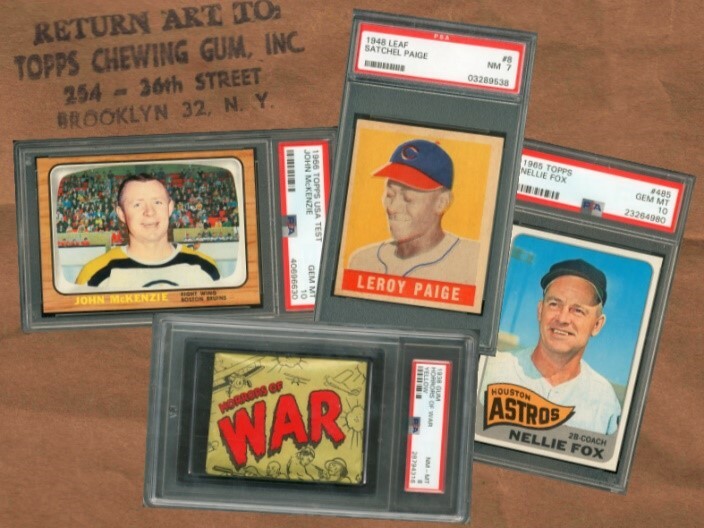 Founder Joshua Evans and partner Michael Heffner’s love for the hobby and unrivaled longevity and success finding the most important and desired sports pieces, has kept Lelands at the pinnacle of the sports memorabilia and vintage cards hobby. Their unparalleled instincts for value and authenticity, their impeccable taste, and a keen sense for change in this constantly evolving market, have made them hobby legends. 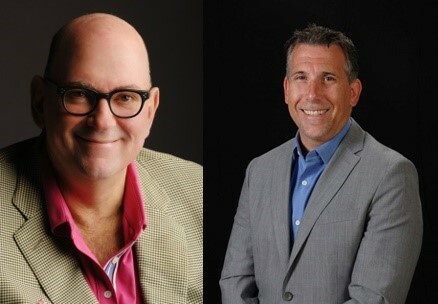 Founder Joshua Evans and partner Michael Heffner’s love for the hobby and unrivaled longevity and success finding the most important and desired sports pieces, has kept Lelands at the pinnacle of the sports memorabilia and card hobby. Their unparalleled instincts for value and authenticity, their impeccable taste, and a keen sense for change in this constantly evolving market, have made them hobby legends. The Invitational: The most exclusive event in the hobby. Coincides with The National and reserved for the greatest collections from history. The Classic: Our celebrated semi-annual collectibles auction features an impressive array of important memorabilia and card collections. 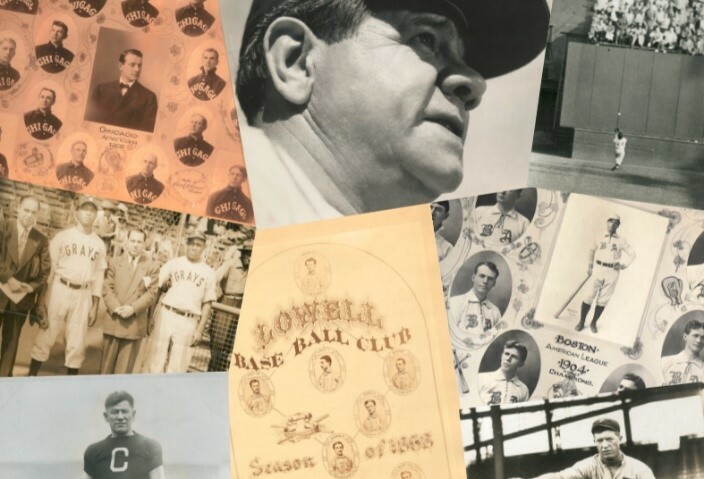 The Monthly: Our hobby-friendly auction features memorabilia and cards. Receives the most bids of any of our auctions. The way things used to be! We work with our clients to understand their interests and provide expert guidance to fulfill their requirements. As the most informed team in all of sports memorabilia and card collecting, we know the current market, what pieces are available, and their current and potential future value range. Trust is more than just our word and reputation. It is the most important value of our firm. We ensure that any piece purchased through Lelands is authentic, because we will refund for any item that is not. With our vast experience and informed view, Lelands more precisely values, and more effectively markets, the vintage sports pieces that are brought to our attention. Our in-house authentication and appraisal services means that we can provide sellers with a value range quickly and accurately. We use secondary authentication services to validate our findings. We understand that selling needs vary, so we provide options and suggest the best avenue to meet selling objectives.